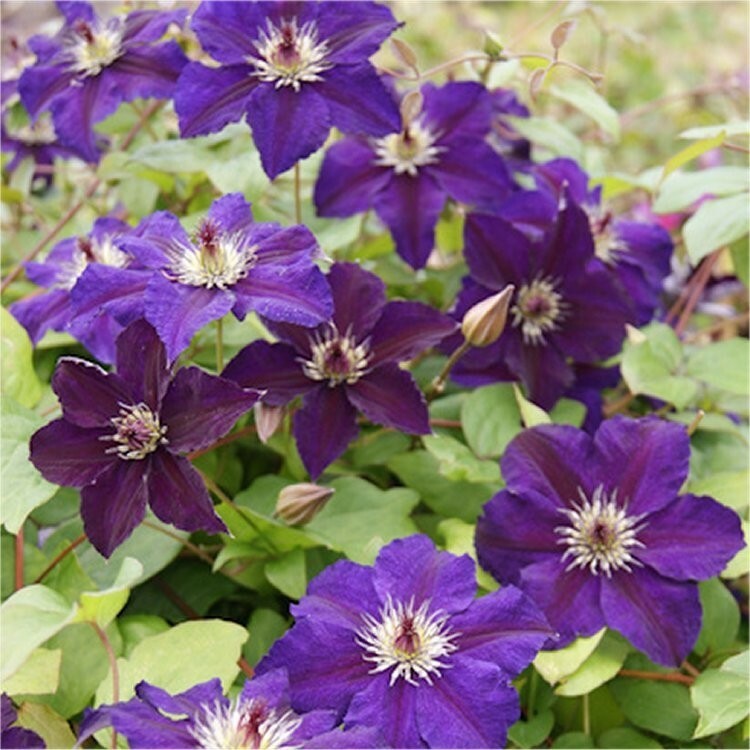 This Clematis has the ideal name if you are looking to say 'Happy Birthday' to a budding or experienced gardener that is in need of a lovely climber! Happy Birthday will reach up to 3 metre tall, producing nice fresh green foliage clothed in flowers from mid-summer to autumn. The blooms are a good size at up to 10cms across, they are a deep purple, with redder mid-stripe, fading to cobalt-blue, creating a two-tone effect. Early season flowers will be produced on last years growth, with later flushes coming through on fresh wood. 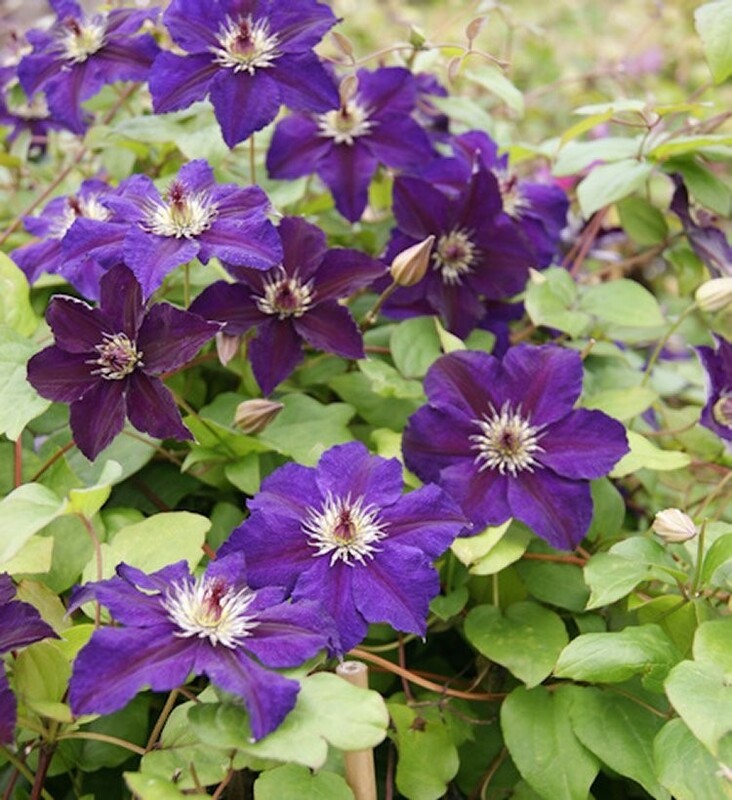 Clematis 'Happy Birthday' is supplied trained on a cane in approx 2 litre containers.